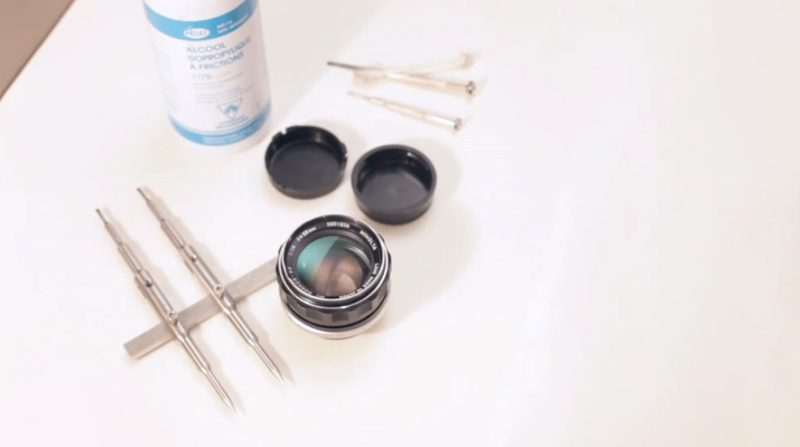 These two videos show how to disassemble and repair a Minolta 58mm f/1.4 PF MC lens and then reassemble. Some people are converting this beautifully built lens to digital by removing the mount and making modifications as well as adding a M42 Adapter ring. The demonstration is broken down into two videos you can see here and here. Posted in 58mm Lens, Blog, Good Landscape Lens, Good Portrait Lens, Minolta Lens, Repair Lens, Standard Lens and tagged with aperture oil haze fungus, Minolta 1.4 oil aperture, Minolta 58mm 1.4 pf lens, Minolta 58mm oily aperture, minolta f/1.4 lens, Minolta lens repair. RSS 2.0 feed.